For the 24 hours to 23:00 GMT, the EUR slightly rose against the USD and closed at 1.1370. Data indicated that the Germany’s producer price inflation slowed to a 7-month low level of 2.7% on an annual basis in December, falling short of market anticipation for a gain of 2.9%. In the prior month, the PPI had recorded a rise of 3.3%. 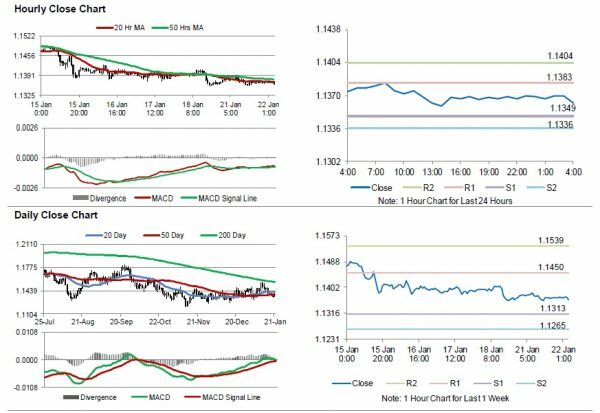 In the Asian session, at GMT0400, the pair is trading at 1.1362, with the EUR trading 0.07% lower against the USD from yesterday’s close. 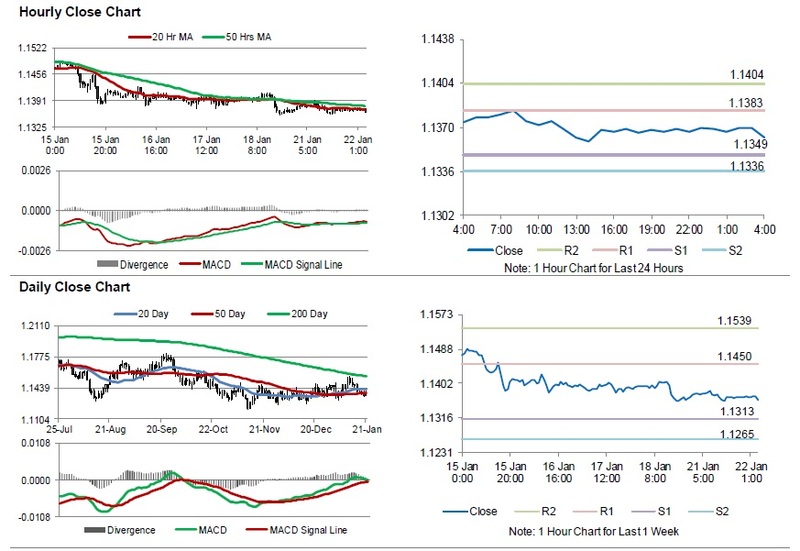 The pair is expected to find support at 1.1349, and a fall through could take it to the next support level of 1.1336. The pair is expected to find its first resistance at 1.1383, and a rise through could take it to the next resistance level of 1.1404. Looking ahead, investors would await the Euro-zone’s and Germany’s ZEW survey indices, all for January, scheduled to release in a few hours. Later in the day, the US existing home sales for December, will keep traders on their toes.